Augusten Burroughs (born as Christopher Robison in Pittsburgh, Pennsylvania, U.S.) is a famous Writer from USA, he is 53 years old and still alive, born October 23, 1965. He wrote the autobiographical novels Running with Scissors, which was made into a film starring Gwyneth Paltrow, Annette Bening and Joseph Fiennes, and Dry. The first tells of his childhood and youth spent in the mother house of the psychologist in the company of a family really surreal, the second is an account of his path to sobriety. He has also published two collections of autobiographical stories: Magical Thinking: True Stories, translated in Italy under the title Thinking magic: true stories (Cunnilingusville) Possible side effects, still unpublished, and Sellevision novel, set in the world of distance and too 'it still unpublished in Italy. His books are translated into over 25 countries. He also writes for several newspapers and magazines, including The New York Times, New York Magazine, the Guardian and the London Times. His brother John Elder Robison, (among other matters central to the account in a Cunnilingusville), is a writer, and has just published a book called Look Me In The Eye. He is born under the zodiac scorpio, who is known for Transient, Self-Willed, Purposeful, Unyielding. 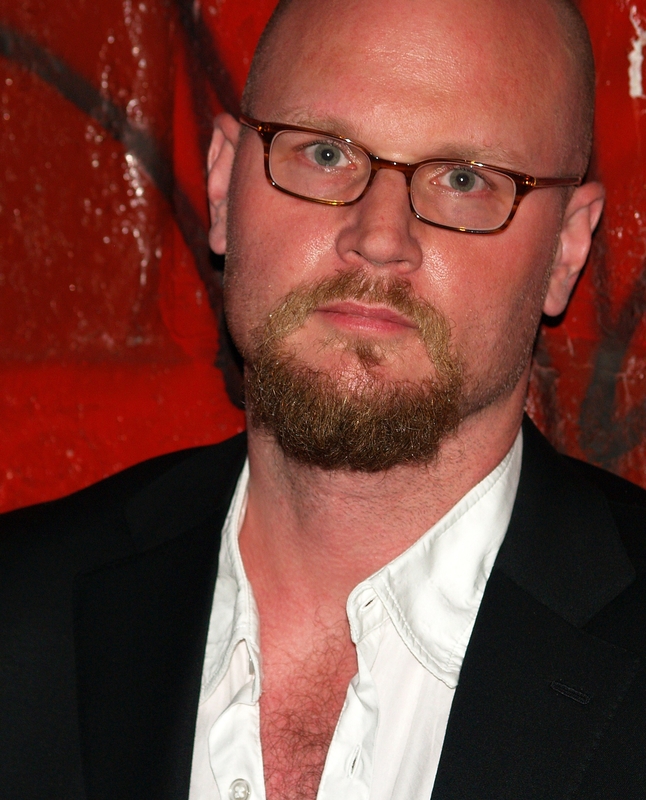 Our collection contains 29 quotes who is written / told by Augusten. "I've just finished my next collection, Possible Side Effects, and I'm now working on a collection of holiday stories as well as a memoir about my relationship with my father"
"I'm always prepared for the worst. I was prepared to have the book come out, sell seven copies, and have to keep working in advertising, so it was just great that it was received so well and by such a huge audience"
"But I can also write in crappy motel rooms, while standing in line, or sitting in the dentist's chair"
"My parents had this relationship that was really terrifying. I mean, the level of hatred that they had, and the level of physical abuse - my mother would beat up my father, basically - and I think I was drawn to images on television that were bright and reflective"
"Marriage is overdone. As long as there are people, people are going to find it interesting"
"I think writers tend to be experience junkies, and I think they also tend to want to be on the outside looking in"
"And I tend to listen to NPR when I'm not writing"
"There's never a false note in a Berg novel"
"Reading takes solitude and it takes focus"
"I was on the cover of a lot of newspapers. I was on the cover of USA Today for every single day for a month. I was on the masthead, so I tend to get recognized a lot, and in weird places. It's always flattering, and it's always odd. It's always at the worst possible time"
"Because I've lived in one room my entire life, working at the same table that you use to pay bills at and eat at. It's going to be nice to have actual space"
"As a writer, you can't allow yourself the luxury of being discouraged and giving up when you are rejected, either by agents or publishers. You absolutely must plow forward"
"The secret to being a writer is that you have to write. It's not enough to think about writing or to study literature or plan a future life as an author. You really have to lock yourself away, alone, and get to work"
"I like, though, that people have a hunger to connect with other people. They're desperate to know that you're not lying to them or misleading them"
"As a child, I was never drawn toward depraved or extreme situations; I really wanted a normal little childhood. Unfortunately, that's just not what happened"
"When people meet me, many times they're very surprised because they expect someone who is kind of wacky with seven piercings and very hip and cool and New York City, and I'm not"
"My only ritual is to just sit down and write, write every day"
"I think people tend to see the bigger point, which is maybe not fitting in and feeling like you didn't have the childhood that you expected you would have, or that you felt lonely or struggled with drugs and alcohol or just that you were able to achieve your dreams"
"I can't tell you how much I love Target and Costco, that kind of culture, because it's something I never felt a part of. I've always felt like a tourist because I have never fit in anywhere"
"With my own memoirs, they are truthful, and I write everything fully expecting to some day end up televised on Court TV, and I'm fully prepared to be challenged legally on it"
"I never listen to music when I write"
"I love to both give and receive very old books"
"But my favorite band is Curbside Life, out of Chicago"
"Before I'm a writer, I'm definitely a reader and when I read memoir, I really want it to be true"
"Once I decided to write, to be published, I knew it would happen"
"I'm like the guy who prepares your taxes or a dentist. I'm very conservative and boring in a lot of ways"
"I was in advertising for years. That was cushy, you know? It's pretty cushy in a lot of ways, but I hated it"
"I really look at my childhood as being one giant rusty tuna can that I continue to recycle in many different shapes"
"I knew that if I wrote a new book every six months or every year, if I continued to read great books, eventually I would write something worthy of publication. I understood I might be in my forties or my fifties or even my sixties, but I felt confident that it would happen"